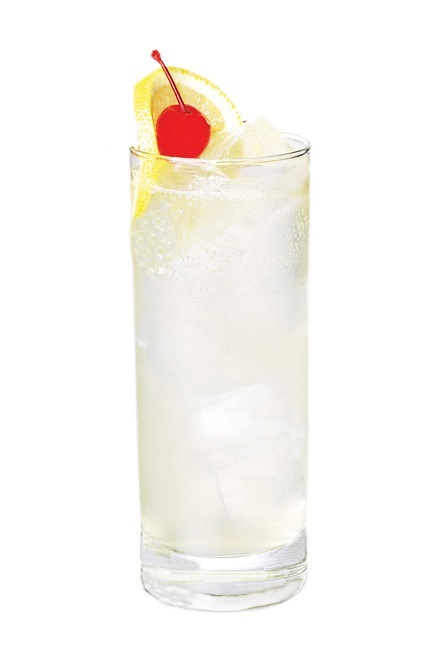 A 'sour' Cocktail using Dutch - Jenever/Genever Gin instead of London Dry Gin comprising of just four ingredients served over ice in (what else) but a Collins glass. Garnish with lemon or orange slice skewed with a Maraschno cherry to form a sail. Pour all ingredients except SodaWater directly into a Collins or hi-ball glass filled with ice. Top-up with Soda water and add a dash of Angostura bitters if desired.